FIND YOUR PERFECT RIDE AT THE BEST PRICE ... HOW? We have created what we believe, is the most powerful search and aggregation application on the planet. GAUK Motors Gen4 software is capable of handling, categorising and managing EVERY vehicle for sale, at EVERY auction, in EVERY classifieds publication and by EVERY dealer (coming soon) in the country. Our software is a ground-up build using the very latest technology coupled with the benefit of nearly fifteen years of online experience in this sector. What really sets the GAUK Motors App apart is the ability to set up multiple personalised searches. Each feed allows you to set the parameters for exactly what you're looking for and once set up GAUK will automatically add any new vehicle to that feed and notify you (notifications coming soon). You can set up as many feeds as you wish and when the vehicles of interest come up, you simply shortlist them. Hundreds of websites are monitored in real time. My Garage: Go on, give it a test drive! Find Your Perfect Ride at The Best Price ... Easy! Simply put, GAUK Motors has done the hard work so you don't have to! Each day our software gathers real-time listings from literally hundreds of websites and collates them into a single, easy to use app. We list vehicles from dealers, private sales and car auctions. Have you considered buying a car at auction? There are hundreds of well-organised, reputable car auction houses selling absolutely any kind of vehicle you could desire, all over Britain right now … And you’ve probably never heard of most of them! At GAUK Motors you’ll find comprehensive coverage of ALL vehicle auctioneers selling cars, vans and commercials and if you do your homework (GAUK tells you how and what to look for) and if you take your time, you’ll buy the vehicle of your choice at ‘below retail’ prices. Mostly, there is absolutely nothing wrong with the vehicles and if there is, the auctioneer is obligated to tell you any major faults. Many motors at auction have either come to the end of their time with the hire or lease company or a company fleet is regularly updated and the used ones auctioned off. All these cars have been serviced and maintained, regardless of cost and even at ‘book’ value (retail price) they represent great value for money … but at 10%, 20% or even 50% off, the deals to be found at auction are exceptional. Do your research, decide on what vehicle you want, DECIDE ON A PRICE YOU WANT TO PAY BASED ON THE CURRENT MARKET … then armed with a figure and a vehicle model, use GAUK to trace a selection of car auctions that you can attend and off you go. You can even bid online (although GAUK Motors highly recommends that you go along personally to the auction). Each website GAUK Motors monitors is delivered to your account as a 'feed'. You can customise your feeds with an infinite number of conditions. The cars available cover the full spectrum of vehicle type, vehicle make and engine size – from regular executives’ vehicles to sports cars and utility vehicles. … Let GAUK Motors help you find a bargain you’ll love! Cars are selling at vehicle auctions across the country at this very moment. 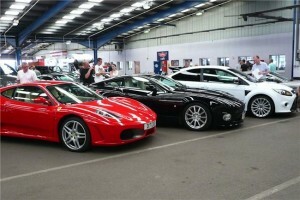 One auctioneer listed at GAUK Motors sells in excess of 800,000 vehicles every year. These expansive car auction rooms are filled with motors that often seem so cheap you would think that there must be a catch. The prices you will be paying are everyday 'car auction' prices. Why Pay Retail When You Can Go Direct? But now you have a choice. Once you start using GAUK and buy your first cheap motor, you’ll wonder why you ever paid retail! If you want a cheap runaround, or a bargain Porsche, we give you absolutely all the information you need in our ‘Buying at Car Auctions Guides’. vehicle auction house in the country and we specialise in NO RESERVE sales too! If you can’t find the car, van or commercial vehicle you’re looking for at GAUK Motors, it's not being sold!